The new DuPont Corian top mount basins add the perfect finishing touch to commercial and residential bathrooms. The stylish new range of top mount basins comes in five elegant shapes designed to nestle on the benchtop, with each design available in a wide range of Corian colours for a truly customised design scheme. 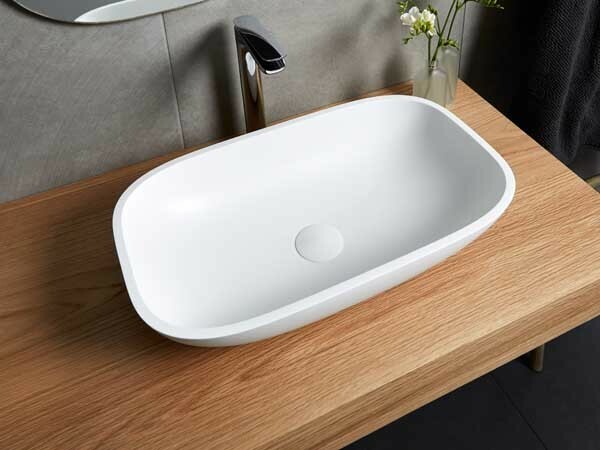 The new Corian top mount basins complement a mix of cabinetry and bench materials to maximise the design outcome; the basin can alternatively be integrated with a coordinating Corian surface to create a seamless benchtop that is easy to clean and maintain in a wet environment. Corian top mount basins are recommended for high traffic areas and provide endless bathroom design possibilities. The new top mount basins complement a growing portfolio of wet area solutions including sinks, wash planes, baths and shower floors. DuPont Corian top mount basins are available from CASF Australia.